Apple has sold some 140 million iPads to date — most of them to consumers frustrated by their lack of physical keyboards and full-featured productivity suites. 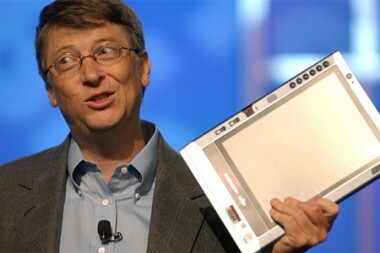 This according to Microsoft Chairman Bill Gates, who, in a wide-ranging interview with CNBC, claimed that current tablets suffer from a lack of PC features — features that Microsoft is delivering to them with Surface and Windows 8. That’s the theory, anyway — though an unproven one at best. According to the latest data from research firm IDC, Microsoft shipped about 900,000 Surface RT and Surface Pro tablets in the first quarter of the year — enough to claim a 1.8 percent share of the tablet market. So if with Surface and Windows 8 Microsoft is finally giving consumers the tablet they really want, consumers haven’t yet realized it. Which is odd, because Microsoft is marketing them with a campaign estimated to cost about $1.5 billion. You’d think that if a signficant portion of the tablet market really does want the more chimeric device Gates describes, Surface would be doing quite a bit better at market than it is currently. But it’s not. Not yet, anyway. Perhaps that’s because consumer expectations for what a tablet is and should be have been set by the iPad, and Microsoft needs to change them — not an easy thing to do. Or perhaps it’s because Microsoft has misjudged the tablet market by viewing it through that aging, dusty PC-as-Alpha-and-Omega lens of which it’s so fond.